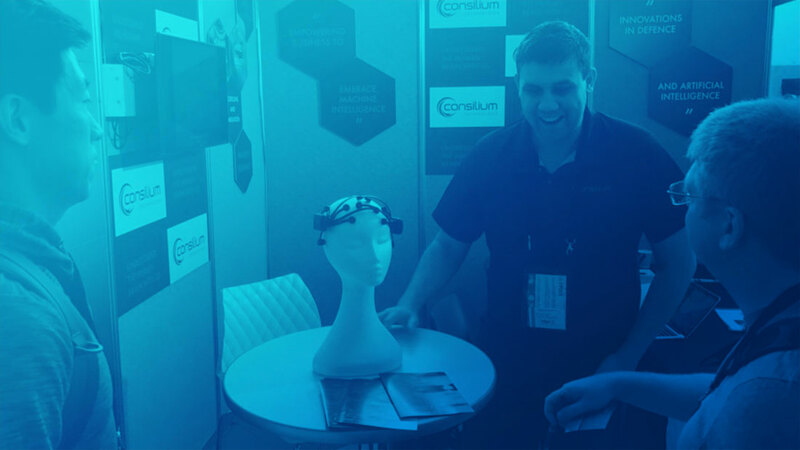 Melbourne (21 August 2017) – Consilium Technology Pty Ltd (Consilium), an Australian Machine Intelligence Business and Research Services Provider, are exhibiting their machine intelligence and simulation capability at the International Joint Conference on Artificial Intelligence (IJCAI). The conference is being held from 21-24 August at the Melbourne Exhibition and Conference Centre. “Our goal is to help businesses leverage advances in machine learning. We were founded in 2010 to service defence research clients, and have grown strongly since then to support manufacturing and mining clients. Our capability in machine learning is complemented by our strong simulation team. Our flagship simulation product is VIRSuite, a real-time infrared scene generation tool that is developed in partnership with the Defence Science and Technology Group. The synergy between machine learning and simulation is very useful for reinforcement learning problems, and data augmentation for deep learning. To benchmark and improve our machine learning capability, we are participating in the IBM Watson AI XPRIZE. Here we are sponsoring a PhD student, Samya Bagchi, to undertake a project which aims to improve the understanding of the brain for the benefit of humanity. One possible direction is to crowdsource large amounts of data on the brain through gamer quality EEG devices, such as the EMOTIV EPOC+. XPRIZE, a 501(c)(3) non-profit organisation, is the global leader in designing and implementing innovative competition models to solve the world’s grandest challenges. XPRIZE utilises a unique combination of gamification, crowdsourcing, incentive prize theory, and exponential technologies as a formula to make 10x (vs. 10%) the impact in the grand challenge domains facing our world. Active XPRIZE competitions include the $30M Google Lunar XPRIZE, the $20M NRG COSIA Carbon XPRIZE, the $15M Global Learning XPRIZE, the $7M Shell Ocean Discovery XPRIZE, the $7M Barbara Bush Foundation Adult Literacy XPRIZE, the $5M IBM Watson AI XPRIZE, the $1.75M Water Abundance XPRIZE, and the $1M Anu and Naveen Jain Women’s Safety XPRIZE. For more information, please visit http://www.xprize.org/. EMOTIV is the pioneer of simple to use, high quality wireless brain sensing (or EEG) devices. Their mission is to empower individuals to understand their own brain and accelerate brain research globally. EMOTIV has developed unique machine learning algorithms that allow the user to track cognitive performance, monitor emotions, detect facial expressions, and control both virtual and physical objects via trained mental commands. Applications for the EMOTIV technology and interface span an amazing variety of potential industries and applications – from gaming to interactive television, everyday computer interactions, virtual reality / augmented reality, hands-free control systems, smart adaptive environments, art, accessibility design, market research, psychology, learning, medicine, robotics, automotive, transport safety, defence and security. EMOTIV was founded in 2011 by Australian tech entrepreneurs Tan Le (CEO) and Dr. Geoff Mackellar (CTO). EMOTIV now has headquarters in San Francisco, and offices in Sydney and Hanoi.